Whether you are operating a WordPress or a NonWordPress website, adding HTTPS (Hyper Text Transfer Protocol) or SSL (Secure Socket Layer) is a must. If you are late to this party, you are losing your site authority, an army of visitors and above all a great amount of revenues. Initially SSL was a preferred tool only for the eCommerce store owners. But today it is widely accepted by almost all website owners. 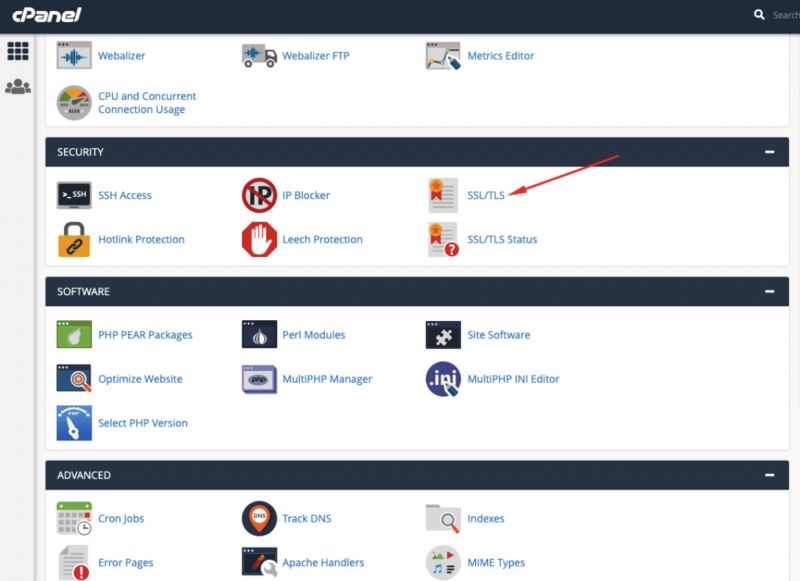 Now, let's see how you can add an HTTPS to your WordPress site. 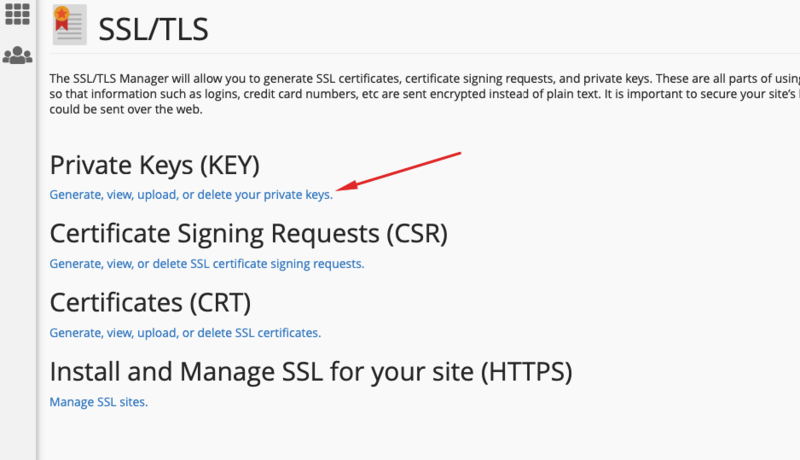 Why Should You Add HTTPS to Your WordPress Site? 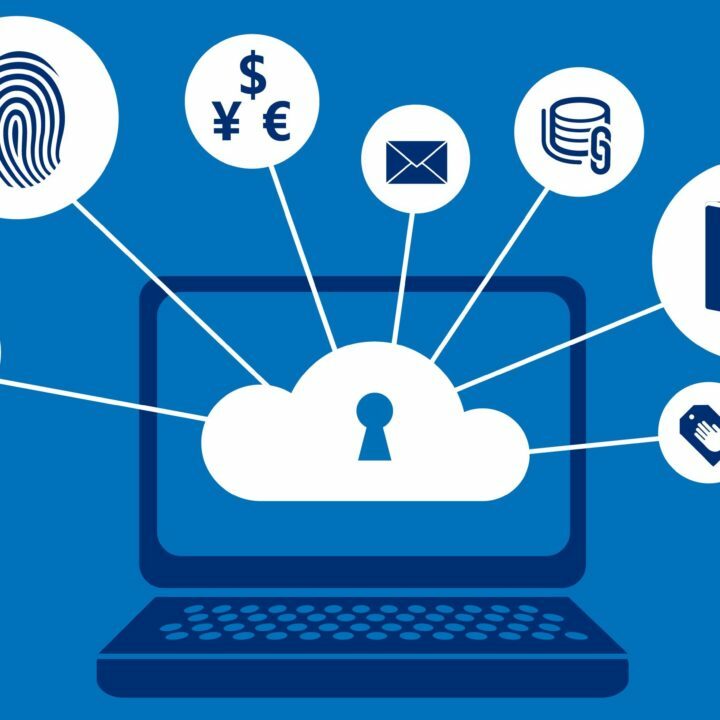 To establish a sense of trust in your visitors' mind when it comes to password protection or any sensitive information protection. Google has officially confirmed that adding HTTPS is a ranking factor back in 2014. To affirm your identity as the site owner. Before implementing HTTPS to your site, you need to determine if you are going for free SSL or a paid one. Paid SSL service providers: You will have to pay a specific amount of fee for a specified period for paid SSL certificates. 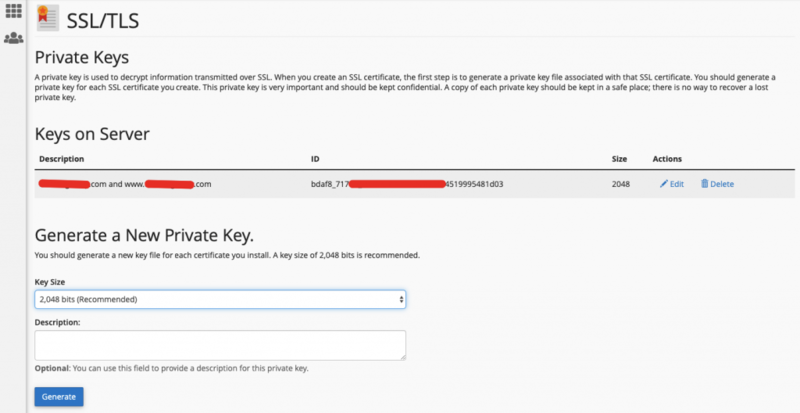 Examples of paid SSL certificates are Comodo, Symantec, GeoTrust etc. 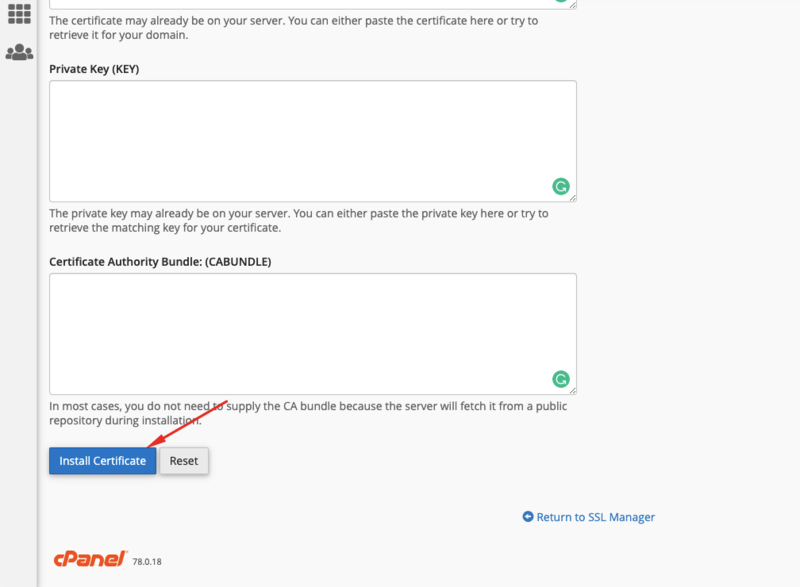 In this tutorial, we are going to implement the free SSL certificate, Let's Encrypt in the C panel of the hosting. Private Keys (Key): Private keys helps your website encrypt the data and stops others from impersonating your website. 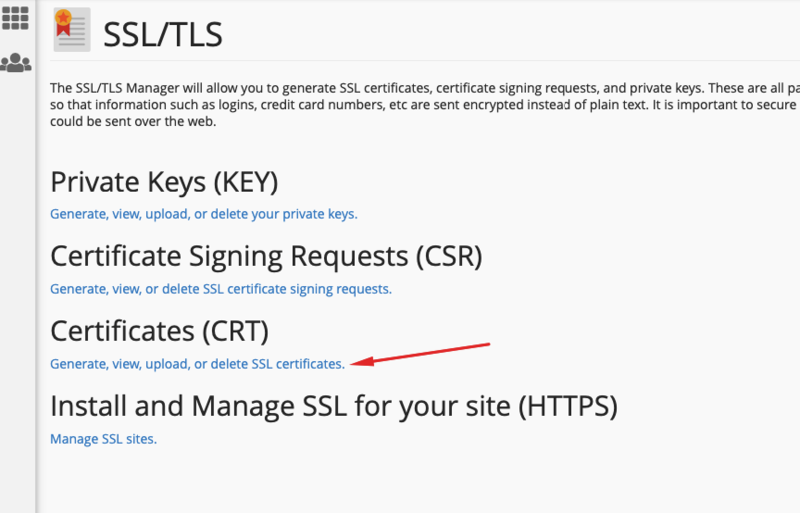 Thus, this is the single most important component of your SSL certificate or HTTPS. 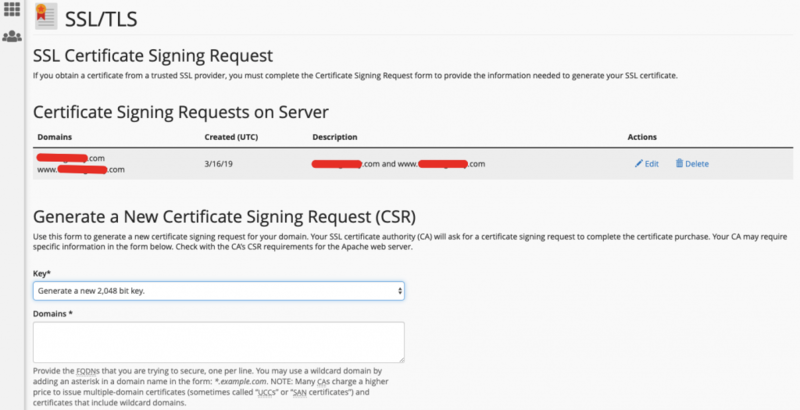 Certificate Signing Requests (CSR): The CSR or Certificate Signing Requests is usually the underdeveloped public key which allows you to enroll the HTTPS or SSL certificate. 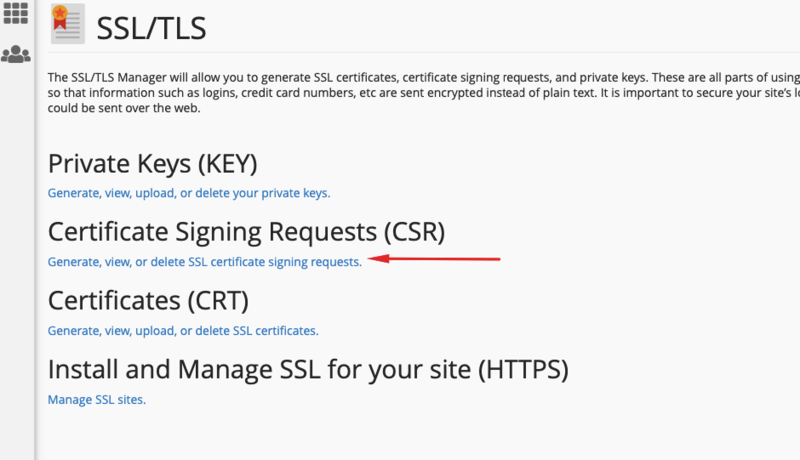 Apart from this (CSR), an SSL certificate can not be issued as the information of the CSR cannot be validated. Certificates (CRT): When you generate Key and CSR, the certificate will be generated accordingly. 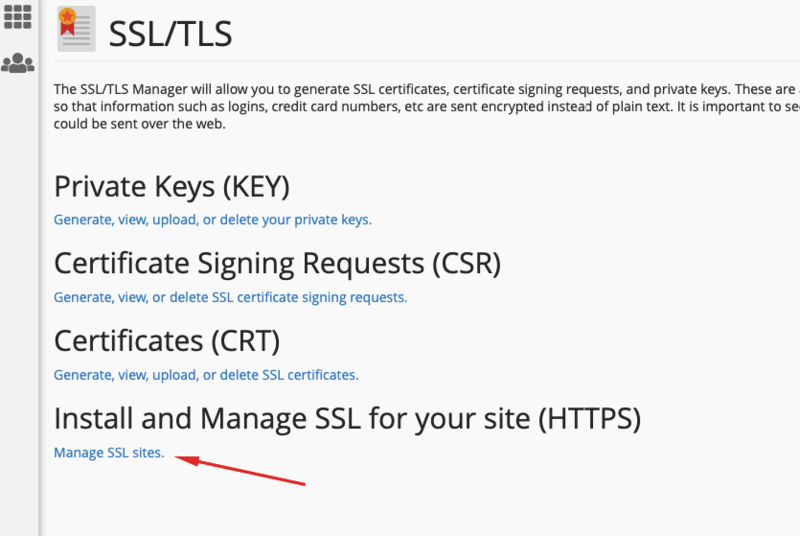 Install and Manage SSL for your site (HTTPS): Use this option to install and activate the HTTPS. You can see the private keys marked by red color on the above screenshot. 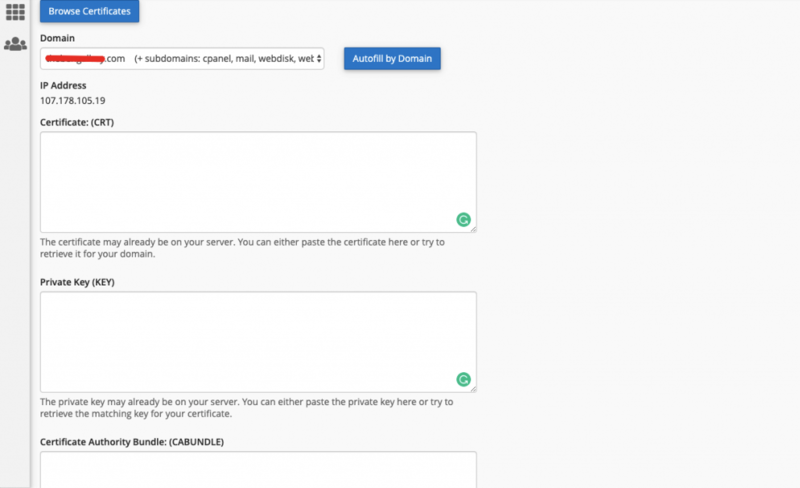 After that, you will need to insert the credentials to generate Certificates. To avoid any undesirable error messages, go to the WP Admin Dashboard > General > URL. Now add an extra ‘s' next to the ‘http‘. Eventually, save the changes. This is it. You are done with installing and activating the SSL in your domain. If your site is old and have a lot of pages with old URLs then it will still keep showing that the domain is not secure. After pasting the code, save the changes. You should update all of the links that that is controlled by your HTTPS version of your site. You should also request other website owners to update the links they have already pointed to your website. Will Switching to WordPress HTTPS Affect Your SEO? “No negative effects, of course”. As we mentioned earlier, Google has already confirmed that using HTTPS or SSL is a ranking factor. In addition to that, you will also get proof from Neil Patel that SSL adds ranking benefit to your website. Although some people are concerned about the ranking dip of their website, there is nothing to lose if you want to add HTTPS to your WordPress site. If you do face any inconvenience while installing the SSL or HTTPS to your WordPress website let us know in the comment section, we will try our best to help you out.